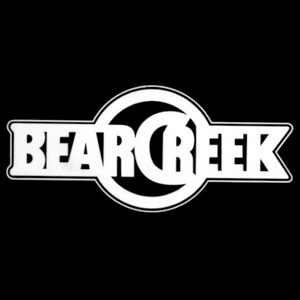 Bear Creek Studio is the perfect rural get-away to work in and enjoy the natural beauty of the Pacific Northwest located in Woodinville just North of Seattle. The turn of the century farm was purchased in the 70's and the dairy barn was converted into a creative and state of the art facility. Situated just thirty minutes north of Seattle, artists can enjoy the benefits the city and escape to record or stay on site in residential quarters which can sleep up to seven guests and immerse themselves into the recording experience. The studio is homy and comfortable and there is no doubt that this is a very special place to make a record. In the 90's as grunge took over Seattle a huge addition was made to the studio for more space and a larger sound. A 1600 square foot second live room was added and a second control room designed by Vincent van Haaff. The control room is a spacious 500+ square foot which homes the Trident TSM 32x24 console with Uptown Moving Fader Automation and Neve BCM 10 sidecar as well as a great collection of vintage and modern outboard gear. There are beautiful vintage Ludwig and Camco drum sets, vintage synthesizers, keyboards, electric pianos, upright piano and many guitars and amps which are available. For more information about our gear please visit the equipment page. The studio also has a kitchen and dining area for people to make themselves at home while they record. There is a lounge with comfortable sofas, perfect for chilling out while other musicians are tracking. The property is ten beautiful acres with a salmon spawning creek and pond for inspiring walks and getting in touch with nature. Hidden just behind the studio in Western Red Cedars is the Treehouse. The Treehouse was built in 2014 and is a fully contained studio. It sits 18 feet off the ground and is the perfect writing or mixing suite. The wood room has a warm sound and is large enough to set up a whole band. It features original wooden beams, walls, and floor and has fifteen foot ceilings. Part of the room is carpeted and acoustically absorbant with enough space to setup a large drum kit for those wanting a much more controlled or isolated drum sound.